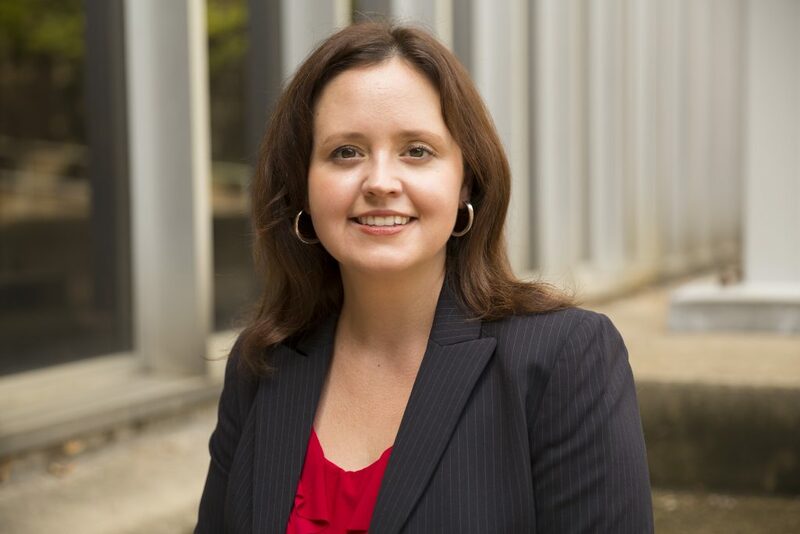 Lindsay Palmer is an assistant professor in the School of Journalism and Mass Communication at UW-Madison. She focuses mostly on international news from a qualitative perspective, as well as global media ethics as part of her involvement through the Center of Journalism Ethics. Her first book, “Becoming the Story: War Correspondents since 9/11” was released earlier this year and is available for purchase on Amazon here. Tell us a little about your book! Could you dive deeper into the ethics of representing the “cultural other,” especially because it’s such a prevalent issue today? It is a prevalent issue today! It’s really always been, there’s a long history of misrepresenting cultural difference in the English language, writing, photography and film. It’s a very long and sort of colonial history of especially representing people in particular regions of the world that may have been associated originally with some colonial empire as being somehow less than white, English speakers from a certain part of the world. So unfortunately, that history informs the way the international news, reporters and their editors sometimes represent people today. This may be getting a little theoretical, but a philosopher like Judith Butler has asked, “How is it that when we represent people, we have this way of representing some people as almost unrecognizable as human and then others seem more human to us?” The discourse of war is such a big part of this, and we see this discourse happening maybe more intensely during wartime. Why do you think this misrepresentation happens more intensely during wartime? Well I think Butler would probably say that it’s because of the issue of thinking about survival on a large scale. It’s not just the survival of one or two individuals, but whole populations, whole nations, the whole groups of people and ways of life. And human tendency seems to be that when we feel our own collective way of life is under threat, we represent the perceived threat as not being human. We see this happening in propaganda all the time, and that makes it a lot easier to then train young men and women to go out and kill people essentially. You’re probably picking up on the fact that I’m a pacifist, even though I write a lot about the war. As a pacifist who writes a lot about war, you definitely have a unique perspective on the subject. How did you get into this field? I went to undergrad to study journalism, radio and TV journalism, which is what the major was called at the time. It was mostly broadcast style journalism, and I was really interested in understanding how we represent people. Right at the time that I was in school, the United States invaded Iraq in 2003. I started seeing all of this war coverage coming from Iraq and other places around the world, and had really been seeing that since 9/11, which also happened while I was in college. That got me interested in learning more about war reporters, and I got really obsessed with reading their memoirs even though I never worked internationally as a journalist. In terms of how the media portrays war, especially at peak war time, do you think that there’s a better way to go about it, or is the way that war is being portrayed acceptable now? That depends really, that kind of thinking depends on what kind of news organization is doing the coverage. There’s a guy that works out at the University of California- San Diego that has made the argument that television news and print news during the Vietnam War really approached this question of how to represent this war and these people. Both media approached it very differently even though they were both American news organizations. It’s a complicated question. In my book, I’m looking at mainstream, very well-known news organizations, although I look a little bit at NPR and PBS but not too much. The coverage starts in 2002, right after 9/11 and the US going into Afghanistan, and goes up until 2012. One of the things that I talk about is the way that that coverage changed, but also how it did not change. One of the things during that decade that mainstream book, TV and print news coverage had in common was this way of kind of drawing upon good guy/bad guy narratives unfortunately, especially in places where US troops were involved. In the book, I’m very critical of how it’s represented in the media. I think it could have been more culturally sensitive, it should have provided more context. It shouldn’t have resorted to featuring the war correspondents as stories in and of themselves usually as victims of some kind of cultural other whenever something bad happened to them. That kind of discourse unfortunately obscured all of the industrial policies that don’t protect war reporters in the fields. There are more intelligent conversations that could have been had at that time about how to protect our war reporters that were doing really dangerous work. In terms of writing your book, is there anything that you wish you could change or go back and focus on? You always wish you could do more. I got a lot of really great interviews, I had a whole chapter about Bob Woodruff, the ABC guy who got bombed in Iraq and almost killed. He did survive and I was able to interview him for example, which was really cool. I didn’t get a chance to interview Lara Logan, who I talked about a lot, because she was really tired of speaking about her sexual assault in Egypt. She had just reached a point where she was done, and I respect that. I just wish I could’ve talked to even more people, and just had more time. Going back to the Lara Logan incident, war reporters obviously have a very dangerous job. Pertaining to ethics, where’s the balance in terms of having them talk about their experiences to teach everyone back in America what it’s like and respecting their privacy? That’s a really good question. The issue of privacy has been really vexed, especially for war reporters. There’s been this hyper focus on them in the 21st century as characters, almost as personalities. So when they end of up becoming the story, like the sexual assault of Lara Logan, when something like that happens to them, their own news organizations are already violating their privacy to a large degree. They’re sort of making this publicity part of their work for the news organization. Then there’s this other set of ethics for a researcher like me, where you want to learn things, but when you interview some of the people that have been going through some of these issues, you have to be really careful about traumatized people. It’s the same with journalists. Journalists who go in and interview sources who have probably just been traumatized like you have to find a way to build trust and respect that there are times you don’t push. This narrative of “I’ve got to get my story” isn’t always right. I finally realized that with Lara Logan, but it took me a while to realize it. Is there anything that you’d like to add in terms of certain subjects that you focused on in your book that we didn’t discuss and that you think is important? One of the most important things I found in doing the research was that there’s a real hierarchy within western war reporting where white westerners might tend to become staff correspondents much more regularly than a correspondent that grew up in Lebanon, for example, who might stay on contract as a freelancer or be a news assistant. There’s a sort of racial and ethnic hierarchy in the field, and that hierarchy extends even to how these people are taken care of in terms of their safety. It’s a really serious problem that hasn’t been discussed nearly enough. It actually led me to writing my second book on news fixers and local journalists because it was such a glaring issue. I felt like it was something people needed to know more about, just how hierarchical the field really is and how it can sometimes be very racist. So the hierarchy is that among reporters, race and ethnicity places a decent role in terms of where they’re placed? Yes, and the kind of upward mobility they have within a news organization, whether or not they’ll get certain safety measures taken care of for them. It’s one of the most appalling things I found out. There’s no real institutionalized policy for the safety of news fixers, who are the people hired in the field to help translate and navigate and serve as local guides. Sometimes individual journalists will do something to help keep them safe, but most of the time nothing happens to help them. They’re crucial to covering international news, none of it would happen without them. So this first book is currently out, when is the second out coming out? The manuscript for my second book is already written. I’m just getting comments from my editor and should be out in 2019!